“An act to prevent slaveholding and kidnapping in Ohio” – REPEALED! 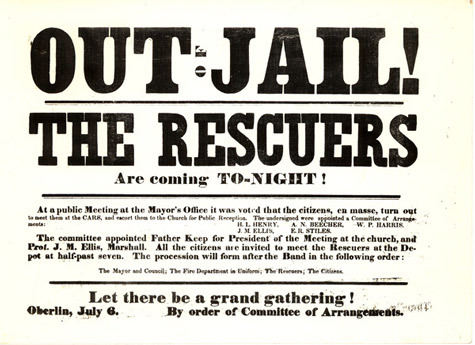 “An act to prohibit the confinement of fugitives from slavery in the jails of Ohio” – REPEALED! Monroe’s 1856 Habeas Corpus Act – REPEALED! As we shall see, Monroe’s Habeas Corpus Act might have been written for just such an event as the Oberlin-Wellington Rescue, and it’s interesting to note that the Republican Governor and the Republican state supreme court proceeded as if that law had never been repealed! 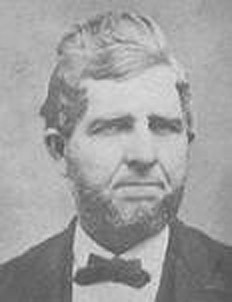 They defied the Buchanan Administration in Washington D.C. and the slaveholder dominated United States Supreme Court, and opened the door for a potential armed confrontation between the state and federal governments that could have dwarfed the “Battle of Lumbarton“, fought two years earlier. While all this was going on, Ohio Governor Salmon Chase was publicly telling a large crowd in Cleveland that he would go along with whatever the Ohio Supreme Court decided, and that if they decided the rescuers should be set free, then “so long as Ohio was a Sovereign State, that process should be executed.”  Chase, of course, knew that the federal law enforcement officers would never free the rescuers voluntarily, and thus it would appear he was prepared to use force to free them, as would have been authorized by the terms of Monroe’s repealed law. As it turns out though it was all a moot point, since the Ohio Supreme Court decided by a 3 to 2 margin that the imprisonment of the rescuers was indeed authorized by the U.S. Constitution (in spite of the judges’ own personal feelings). Thus another armed confrontation between the federal government and the state of Ohio was avoided, but it was nonetheless a disheartening verdict for the rescuers and a sad day for Oberlin. The States of Maine, Vermont, New Hampshire, Connecticut, Rhode Island, Massachusetts, New York, Pennsylvania, Ohio, Wisconsin, Michigan and Iowa, by solemn legislative enactments, have deliberately, directly or indirectly violated the [fugitive slave clause] of the federal constitution, and laws passed in pursuance thereof; thereby annulling a material provision of the compact, designed by its framers to perpetuate the amity between the members of the confederacy and to secure the rights of the slave-holding States in their domestic institutions– a provision founded in justice and wisdom, and without the enforcement of which the compact fails to accomplish the object of its creation. Some of those States have imposed high fines and degrading penalties upon any of their citizens or officers who may carry out in good faith that provision of the compact, or the federal laws enacted in accordance therewith. The secession of the slaveholding states ultimately led to civil war, and civil war moved the Fugitive Slave Law controversy to a new forum and its combatants to new battlefields. But finally, in 1864, the United States Congress repealed the notorious Fugitive Slave Law. The next year the 13th amendment of the United States Constitution was ratified, abolishing slavery nationwide. And two months after that, the Ohio General Assembly finally retired its lone surviving personal liberty law, “An Act to prevent kidnapping” – the law that had brought to Oberlin one of the greatest triumphs and most joyous celebrations of its rich and colorful history.